This month Tesla unveiled their latest V3 superchargers, capable of putting out up to 250 kW per vehicle from a 1 MW cabinet. Those are insane numbers — about 35x as powerful as a standard 7.2 kW domestic charger. And they aren’t the only ones; the future of EV charging is almost here, and it’s supercharged. Despite the hype surrounding Tesla’s announcement, EV supercharging isn’t as new as many might think. Last year JET Charge’s sister company Chargefox began rolling out an Australian supercharger network. These chargers are able to put out between 150 and 350 kW, the fastest of any in Australia. Chargers this powerful can deliver up to 400 km of range in as little as 15 minutes. Even today EV adoption continues to be stalled by range and charge anxiety from potential buyers — and it’s a legitimate concern. While home and portable charging solutions are ideal for day-to-day use, they can’t always keep up with the demands of longer commutes or cross-country trips. Australia is a big country and we need chargers that can make the distance. That’s what Tesla is trying to achieve with the V3 superchargers. Promising up to 1600 km of range delivered per hour, the units are designed to get more EVs on the road in less time. And at an enormous 1 MW cabinet capacity, the days of splitting unit power with neighbouring cars may soon be over. Tesla has also unveiled a new feature across their range: on-route battery warmup. When navigating to any Tesla supercharger station (V2 or V3), your car will automatically heat its batteries to an ideal charging temperature, reducing charge times across the board by approximately 25%. In addition, they plan to unlock 145 kW charge rates for their existing V2 supercharger network in the coming weeks. As of right now, Australians should expect to see Tesla V3 superchargers appearing late this year. Of course, Tesla aren’t the only manufacturers working on supercharger technology. 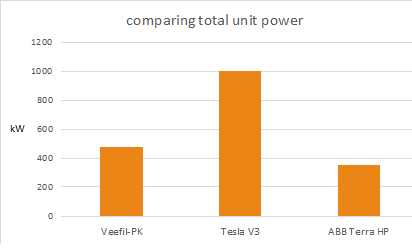 Swiss giant ABB has offered the 350 kW Terra HP since 2017, and local outfit Tritium sells the super-high-powered Veefil-PK at outputs of up to 475 kW. JET Charge have completed installs for all kinds of high power chargers, and we’re extremely excited for the future of the technology in Australia. But we do have to ask, are our current EVs ready for it? As much as we love discussing the crazy numbers of the latest superchargers, we’ve still got to concede that it’s overkill for the EVs of today. Many EVs are limited to 50 or 100 kW charging to preserve battery health, and while those values are growing it does make supercharger outputs seem excessive. That said, we have to remember that these units are designed to serve multiple cars at once. They’re not exactly viable on a domestic network or budget, so will generally be reserved for public or fleet installations where they can take advantage of their full capacity. 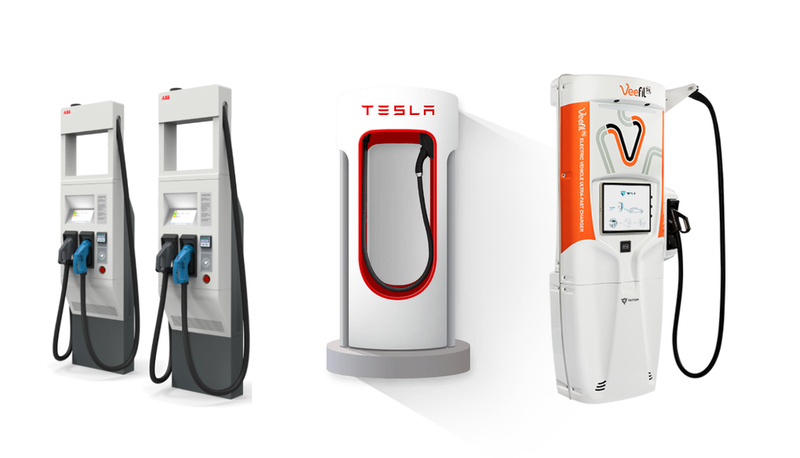 The current roll-out from Chargefox will bring 21 superchargers to highways nationwide, with plans for many more in the coming years. How much is a 15 minute charge worth? Will battery technology be able to keep up? Comment below with your thoughts on superchargers and their potential for changing the Aussie EV landscape.